On 5 February at the Cairo Opera House, the first festival of the Organisation for Islamic Cooperation (OIC) will be inaugurated by Egypt’s ministers of culture and foreign affairs as well as the assistant secretary-general of the OIC Hesham Youssef. The festival, which will run for five days, will reflect on political, cultural, developmental and humanitarian issues of concern to the 57 member states of the organisation. “We are talking about an intense schedule of seminars, cultural shows, exhibitions, music performances and other activities that will be held by the participating states,” said Hesham Youssef, assistant secretary-general for humanitarian affairs at the OIC. “So we are going to have discussions on matters related to political challenges, securing sustainable development, promoting the role of youth, and also the issue of Islamophobia,” Youssef said. He added that the five-day festival will also offer an opportunity for participants and the public at large to get acquainted with the diverse cultural profiles of the countries assembled together under the umbrella of the organisation. “We are talking about 57 countries in various parts of the world; so obviously we are talking about diverse cultural backgrounds. In this festival, participants from Mauritania would be able to learn about the culture of Azerbaijan, and all the participants will be able to see much of the very rich Egyptian culture,” Youssef said. Participants in the festival will also be able to share their experiences in dealing with humanitarian crises and discuss political and developmental issues. “The [OIC] secretary-general’s purpose in holding this festival is to get people from the member states to learn about one another and work together on issues of interest; essentially cultural, developmental and humanitarian. So there is room for a big role by people from all walks of life to impact future relations between the member states,” Youssef said. “For example, one of the most active humanitarian institutions that work closely with the OIC will be present to share its experience. Also present are some of the organisations that work under the OIC umbrella like the Islamic Development Bank and ISESCO (the Islamic Education, Scientific and Cultural Organisation). They will be sharing their experience on issues related to the pursuit of development and the modernisation of education; these are all issues of interest to all OIC member states,” he added. 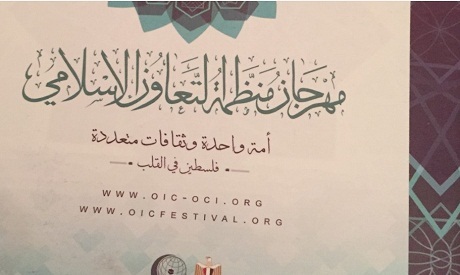 The OIC Festival is hosted in Cairo upon the initiative of Egypt, Youssef said. “When the OIC proposed the idea, Egypt came forward and I think that it makes perfect sense for Egypt to host the first round; not just because Egypt is a country with significant experience to share, or because of its incredible culture, but also because of Egypt’s central role in the OIC scene,” Youssef said. The seminars, performances and exhibitions will be held at the Cairo Opera House, El-Ghouri Complex, El-Hanager, the magnificent El-Moez Street and other spots around the city. Youssef believes that the festival will inevitably be influenced by the complex nature of relations between the member states. However, he argued that it will also be an opportunity for networks to be built to serve the interest of the people. “I think it is also important to think of the festival as an opportunity for Muslim countries to overcome the issue of terrorism, which seems to have been so unfairly associated with their culture,” Youssef argued. “I think when the world looks at some of the stories that will be coming out of this festival, they will get to see that there is a lot of mischaracterisation in emphasising fundamentalism in the Islamic world,” he added. “There is a special tribute to Jerusalem in this first edition of the festival, and we are expecting a heavy Palestinian presence to remind the world that we will never forget Palestine and will never forget Jerusalem,” Youssef said. Youssef said that the OIC will soon be preparing for the next edition of the festival, which is scheduled to be held in the UAE later this year. “Next stop is the UAE and we will take it from there. This is going to be a biannual event. The project is still in its initial phase,” Youssef said. “Clearly there is a great deal of enthusiasm from the member states; we have around 10 offers to host this festival,” he said.